Geoffrey Wickham studied conducting with George Hurst, Louis Halsey and Michael Rose. He has been conductor of the Yate Choral Society for over 45 years. He has also been conductor of the Mercury Players who gave West Country premieres of several musicals notably two by Stephen Sondheim and of the Bristol Musical Comedy Club for whom he conducted Camelot; Sweet Charity and an award winning production of Mack and Mabel. He has conducted the Bristol Opera Company on several occasions including concerts for the Bristol Community Festival and prepared them for a concert with the Royal Philharmonic Orchestra conducted by Stanley Black. He was musical director of the Bristol Catholic Players for 14 years, in which time he conducted all the standard Gilbert and Sullivan operas. As Conductor of Bristol Cathedral Choir School Choral Society for over 10 years he has conducted them in concerts in Krakow, Dubrovnik and Budapest. He has also enjoyed conducting them when they have joined with other choirs to form a 200-strong choir in the Cathedral. He has written and arranged choral pieces; musicals and incidental music for the stage. 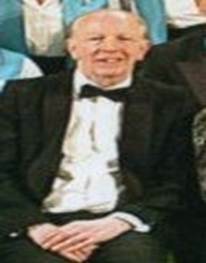 Although heavily involved in music he was Head of Chemistry at Queen Elizabeth’s Hospital School in Bristol and co-author of a science text book. In June 2008 he was a finalist in the BBC Radio 4 music quiz programme “Counterpoint”. Hazel Wickham was at the age of 16 accompanist for the North Devon Choral Society. She graduated in music and Classics at Bristol University where she performed as soloist in many concerts. She was accompanist for the BBC West of England Singers notably in Bristol Prom performances of Walton’s Belshazzar’s Feast and Haydn’s Creation and has worked with conductors such as Meredith Davies; George Hurst; Bernard Keefe and Stanley Black. She has been Conductor of the Bristol Ladies Choir for twenty-nine years and has conducted them many times in the Colston Hall and also in Bristol Cathedral, St. David’s Hall, Cardiff and taken them on tour to Norway. The choir has raised several thousands of pounds over the years in their charity concerts. For three years she was conductor for the Laetare Singers- a small mixed choir – in their annual concert at Corston with Leslie Crowther and his wife taking part. She has been the accompanist for the Yate Choral Society for over forty-five years and has enjoyed the friendship; varied musical life; the trips to France and the social activities. 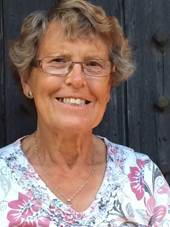 For forty-five years she has also been accompanist and repetiteur for the Bristol Opera Company working on operas such as Carmen; The Marriage of Figaro and the Flying Dutchman plus several less familiar ones such as Rameau’s Les Indes Galantes and Menotti’s The Saint of Bleeker Street – including playing it for the composer. Her favourites have been the many Verdi operas including Aida which the company took to Valetta in Malta. In addition she is accompanist for the Bristol Cathedral School Choral Society and has played the organ in Colston Hall and many of the churches in the Bristol area including the Victoria Methodist Church Clifton where she is resident organist. She taught Music and Classics to A level for many years latterly at Clifton High and Cotham Grammar Schools. In 2002 she was awarded the Lord Mayor of Bristol’s Medal for her contribution to the Musical Life of the city – one of only two musicians to receive this award.